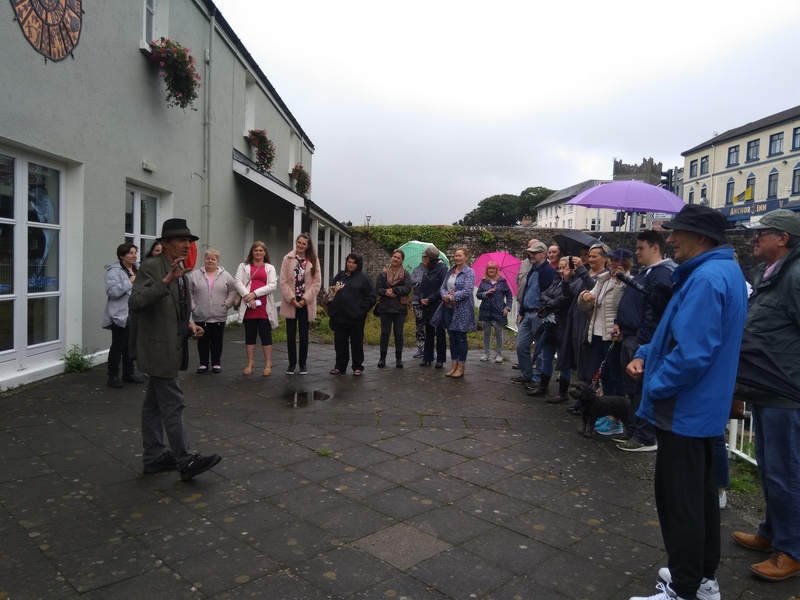 A huge thank you to all those who came along to the unveiling of our two plaques outside Killaloe Library yesterday morning. 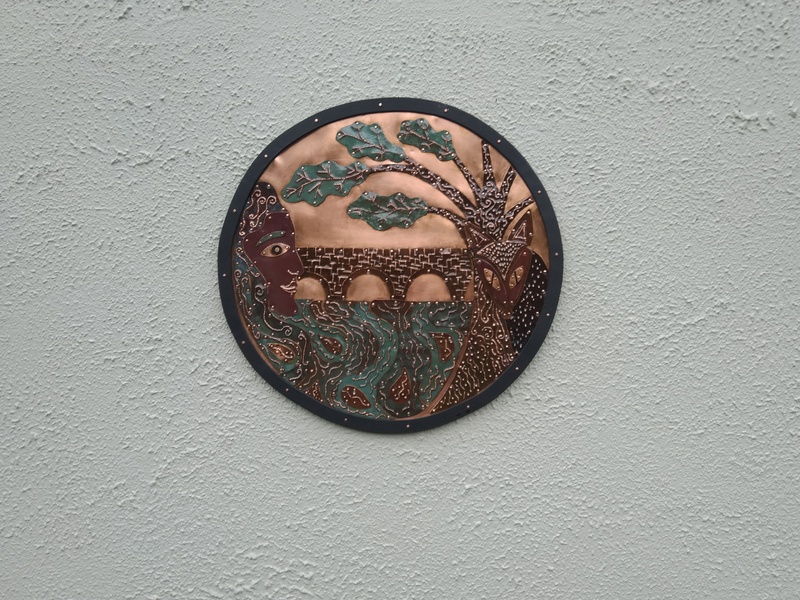 These pieces were commissioned by the Féile Brian Ború committee, which grant assistance from the Heritage Council, and work began on them during Féile Brian Ború 2018 in July. The first sculpture depicts Sinann – the Goddess of the River Shannon. 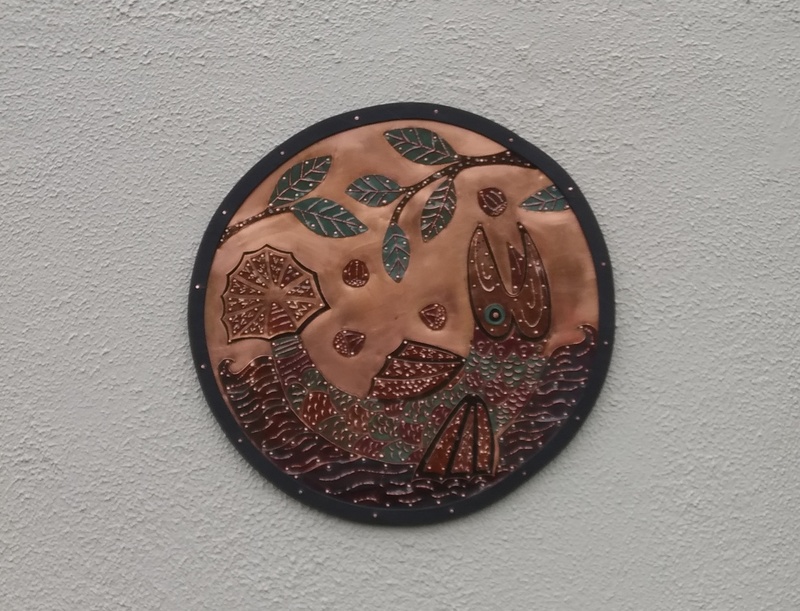 Under the experienced tutorage of Mark Wilson, Artist and Blacksmith, this piece was planned and prepared by the Circle of Friends group based in Killaloe/Ballina Community & Family Resource Centre. The group came together yesterday to unveil this plaque, showing the team effort that went into researching, planning and preparing this wonderful piece of art. Group member Harriett Moore then read a story which explained how Sinann became known as the Goddess of the Shannon. The second piece depicts the Salmon of Knowledge and this piece was worked on during Féile Brian Ború 2018 in July. 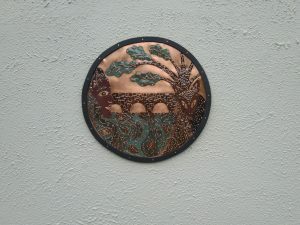 This piece was unveiled by Ailish Conacur, the granddaughter of the late historian, Seán Kierse. 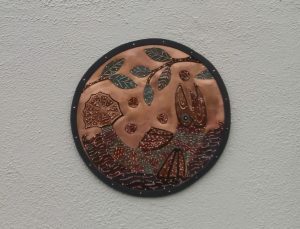 Seán himself unveiled a copper sculpture which again was commissioned by the Féile Brian Ború in 2014 to commemorate the millennial anniversary of the death of King Brian Ború at the Battle of Clontarf. We felt it very fitting to have Ailish unveil one of our plaques and we would like to thank her and her family for being a part of the day. We would also like to thank all those who were involved in this project – Mark Wilson & team; Circle of Friends Social Group; staff of the Killaloe/Ballina Community & Family Resource Centre; Deirdre Scanlan who provided musical entertainment on the day and the Killaloe Library for allowing us to mount these pieces of art in a perfect location in our beautiful twin-towns. Both plaques will be permanently mounted outside Killaloe Library in the coming week or two, which is the perfect location on the bank of River Shannon. We hope you will enjoy them for years to come.